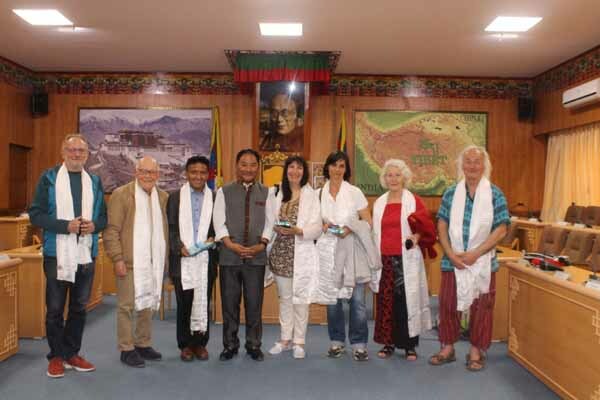 Dharamsala: Members of Tibet Les Enfants de L’espoir (Hope for Tibetan Children) from Nantes, France visited Tibetan Parliament-in-Exile at 2:30pm on 8 April 2019. 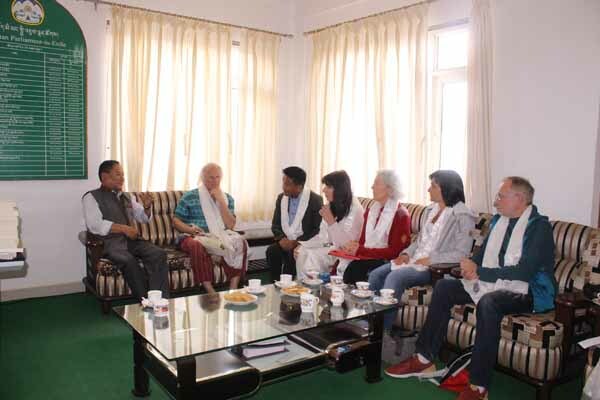 Speaker of Tibetan Parliament-in-Exile, Mr. Pema Jungney received them at his chamber and explained about the historical background and the evolution of Tibetan Democratic polity in detail. The Speaker also spoke about devolvement of political power by His Holiness the Dalai Lama and election of Kalon Tripa by the Tibetans. He further talked about Parliamentary sessions, procedure, composition and function. Speaker also spoke about the Standing committee and its three section; Political, Administrative and Gyundrel (Finance). The Speaker said ‘‘ the reason why so many people love Tibetans is because of our non-violent approach under the guidance of His Holiness the 14th Dalai Lama’’ and thanked them for supporting Tibetan children and old persons. Finally, he answered questions asked by the members of the group, presented them mementos and visited parliament hall. Tibet-les Enfant de I’Espoir was founded by Mrs.Phurbu Dolma la in February 2006.The association was registered in Paris and later shifted to Nantes in 2008 but unfortunately Mrs. Phurbu Dolma la passed away in 2012.The honorary member of the organization is Jetsun Pema la and it has 61 members and 250 supporters all over France.་The organization have been sponsoring 55 Tibetan children and 4 old people in India and Nepal. Each year they organize different photo exhibitions about Tibet and participate in different events to inform about Tibet to the French people.They had requested the Mayor of Nantes to host Tibetan National Flag at city hall on 10 march to mark the commemoration of Tibetan people Uprising day. The Mayor of Nantes has been hosting Tibetan National Flag at city hall on 10 March since 2008.